Davis was right. The photo was shared by thousands of people. But the fat-shaming didn’t stop there. In April, Sandoval once again found his weight being the topic of conversation online. This time, it wasn’t just cruel memes circulating, but videos — on loop. The baseball player broke his belt on a swing in an April 9 game against the Blue Jays. Sandoval removed the broken belt and continued the at-bat, CBSSports.com reported at the time. After striking out, the third baseman cooly put on a new belt after returning to the dugout. He took the embarrassing incident in stride, but baseball fans couldn’t help but poke fun at the player. The next day, a Blue Jays fan brought an oversized belt to the game, waving it and shouting, “Need a belt?” as Sandoval stepped up to the plate. But Sandoval, who proudly owns the nickname “Kung Fu Panda,” appears to have made some healthy life changes since then. 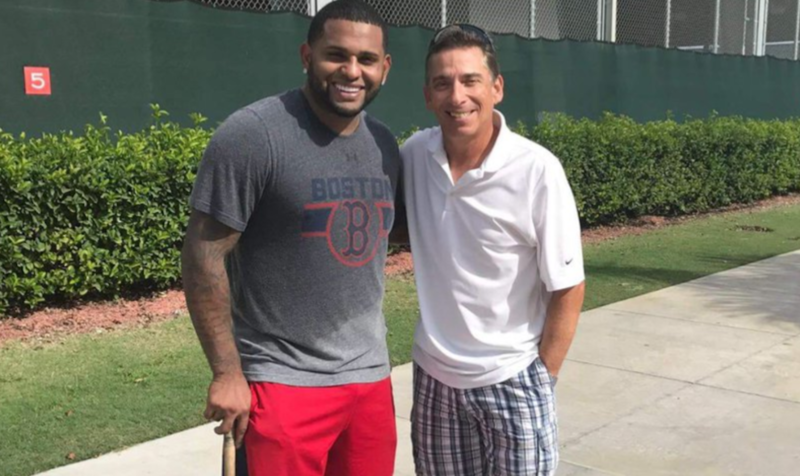 New photos of a slimmed-down Sandoval surfaced this week, and forced fans to do a double take. Red Sox president of baseball operations Dave Dombrowski told reporters that the 30-year-old player was in “tremendous shape” during a briefing on Day 2 of Baseball’s Winter Meetings. “Here’s ur proof!” CBS Boston reporter Dan Roche tweeted, along with a photo of the player. “He looks fantastic!! !” one Twitter user responded. “Looking good panda,” another exclaimed. “I have to commend him for the work he’s put in,” said Red Sox manager John Farrell, according to CBS Boston. Red Sox fans agree, and hope, after suffering a season-ending shoulder injury in 2016, Sandoval will shine in 2017.